I am a 1987 graduate of Quinnipiac University Law School, located in Hamden, CT. 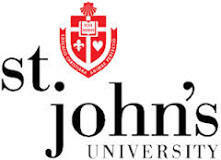 Prior to that, I attended St. John’s University in Jamaica, NY, receiving a B.A. in Government and Politics in 1983. I have been in private practice since 1989, serving the legal needs of the residents of Queens and surrounding counties. The primary focus of my practice has been in Family Law and Matrimonial Practice. For over 20 years, I was a member of the Assigned Counsel Panel in Queens Family Court. It has been a rewarding experience representing clients in child abuse and neglect cases, complex and emotional custody and visitation cases, as well as domestic violence cases and difficult child support matters. Although working primarily in Queens, I've appeared in all 5 boroughs and the courts of Nassau and Suffolk. Personal service and compassion for the needs of my clients are my priorities. I have a great deal of trial experience, having tried well over 200 cases over the course of my career in areas such as Abuse and Neglect; Termination of Parental Rights; Custody and Visitation; Relocation cases; Child Support and Willfulness cases; Family Offense cases; and Juvenile Delinquency matters. I have experience in Matrimonial and Criminal cases, as well as Appellate Practice. While every case should, in an ideal world, result in a resolution that everyone can be happy with, if your case needs to go to trial, I will endeavor to provide the most thorough and vigorous representation you deserve. I have always strived to provide caring and attentive service to my clients. Sensitivity to the difficulties that the client is going through is the foundation of a strong attorney-client relationship. I try to always reassure the client that his difficult journey is our difficult journey. I am there every step of the way.am fluent in Haitian Creole and I speak some Spanish. I also have staff who are fluent in Spanish and we go the extra mile to provide the attention your case deserves. We also have a mobile version of the site. Bookmark us on your desktop, laptop, tablet and smartphone. Our office number is (718) 380-1602. We are centrally located near all the courthouses in Queens, with service to the 5 boroughs, Long Island and Westchester. If you have an emergency, calls us at (718) 380-1602. We are available days and evenings. If you don’t get through to a live voice, leave a message and expect a prompt response. If you use our contact form, I will be immediately notified, and you can expect a prompt reply. If we can’t help you, we will put you in touch with an attorney that handles your type of case. We will then take an active role in making sure that you get the representation that you deserve.